Astellas is a global pharmaceutical company. Since Astellas was established in 2005, based on its business philosophy to contribute towards improving the health of people around the world through the provision of innovative and reliable pharmaceutical products, it has strived to continue to create innovation and deliver innovative medical solutions that meet the needs of patients. Looking forward, Astellas is committed to achieving its vision of turning innovative science into value for patients. Dr. Svetoslav Tsenov is a business leader with more than 12 years of experience in the pharmaceutical industry. 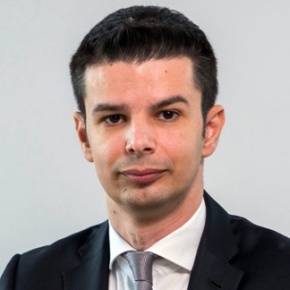 He has taken different senior positions in Bulgaria and Central and Eastern Europe in marketing, medical, market access, government affairs and general management roles in multinational companies.Dr. Svetoslav Tsenov has graduated Medicine from the Medical University of Sofia, followed by a Master Degree in Finance.